For fear that y’all think I only post about Big Bottom Whiskey, here’s one about Stuart Ramsay’s Whiskey Academy class I had the pleasure of attending Sunday, May 6th at Bull Run Distilling. Stuart is a local whiskies guru, internationally recognized as an accomplished writer, editor, and speaker on both whiskies and beer. The fact that he lives in Portland means we are lucky enough to have access to such a wealth of knowledge on a fairly regular basis, as Stuart hosts not only his own classes on whiskies, but also presents tastings hosted by other local pubs and restaurants. 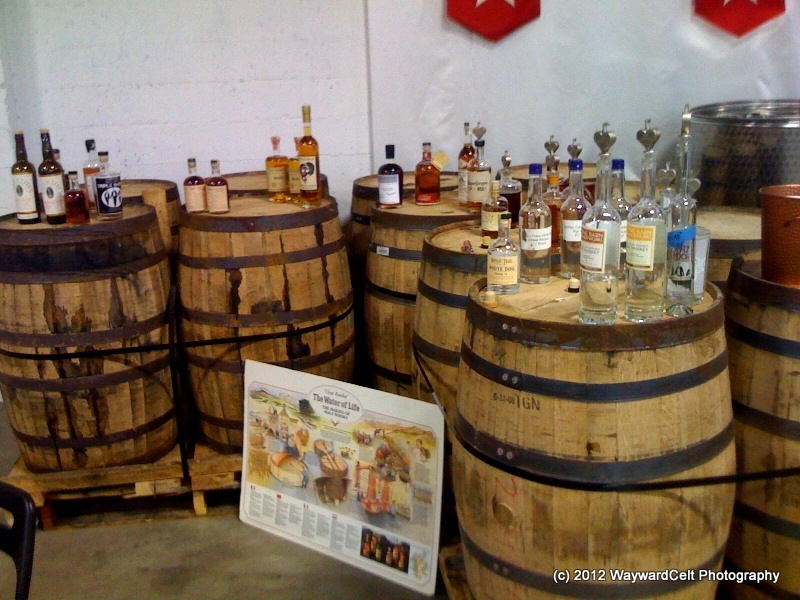 This particular class I participated in (hosted by the fine lads of Bull Run Distilling) was focused on the American Craft Distillers movement with a focus on the craft Whiskies of course. Not only did Stuart highlight some exception drams from across the US, but was also able to pull in a few of our own local craft distillers to talk about their own products, how they’re made, and highlight some of the more technical details of what goes in to a great craft distilled whiskey. Stuart’s presentation style is relaxed and meandering through stories, periodically hitting on topics of note and diving deeper as the audience/participants ask questions and show interest in one topic over another. In this session’s case, we all tended to focus on the mash bill for each of the drams, finding the differences between heavy corn, wheat, or rye bills, and then comparing how the oak has changed each. We also had some good discussion over the various types of stills and what the benefits of each provided in the resulting spirit. One of the things I really appreciated from the class was Stuart’s attention to providing information in the form of two packets: One with the history of American whiskies, the craft movement, making a single malt, and a primer on bourbon complete with a tasting wheel and guide to flavours. The second packet was a one-sheet for each of the distilleries we were tasting, along with notes on the particular drams. Both packets showed not only attention to the important technical details and overall histories, but they also allowed for the in-person presentation to flow using the packets as only reference. Too many times have I found people simply reading from their handouts or slides, and thankfully Stuart doesn’t abide by that habit. What really made this class stand out for me was the opportunity to talk with three local distillers doing some amazingly different things with their whiskies, all of whom are not only approachable but deeply passionate and willing to talk at length about what they do. And really, that touches on the whole reason I remain involved and passionate about whiskies myself: the people. The industry itself is interesting in the shifts and trends and new stuff coming out, but it remains the people that keep it so exciting and fun. When you can connect with people like Stuart Ramsay, Lee Medoff of Bull Run, Sebastian and Erika Degens of Stone Barn Brandy Works, and Tad Seested of Ransom Spirits, (and even though he wasn’t in attendance at this particular workshop, Ted Pappas of Big Bottom), you can’t help but become as passionate and excited by what they are doing as they are! It truly is contagious. This entry was posted in American, Events, Misc. 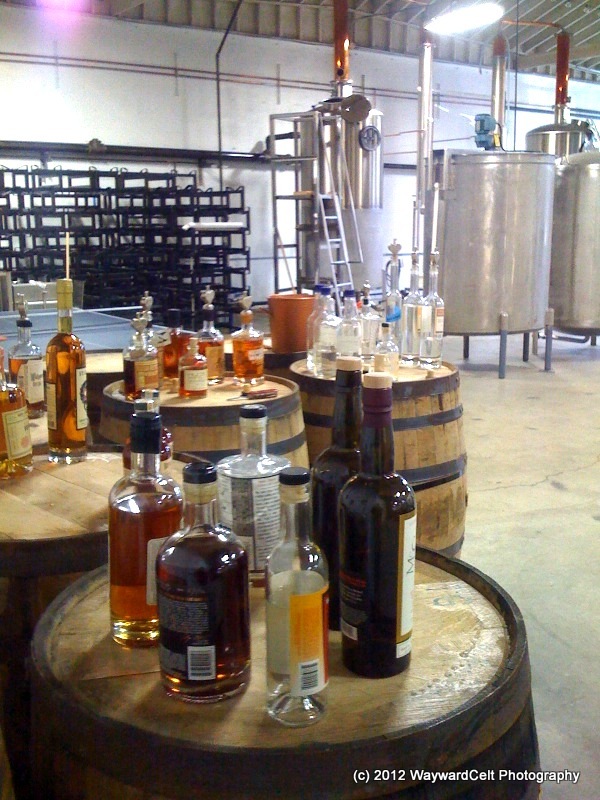 Events and tagged american whiskey, craft distilling, events, pdx, portland, stuart ramsay, whiskey. Bookmark the permalink.